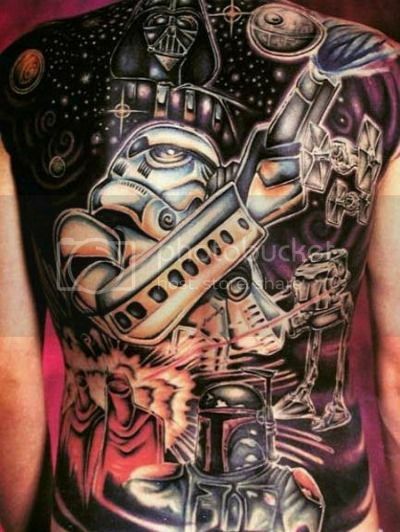 Yeah, so you got yourself a big ol’ Star Wars tattoo. I’ve got three words for you: Not. Committed. Enough. Via Geekologie, who thinks that Stormtrooper is going to be terribly disappointed when he finds out he’s got blue streamers coming out of his blaster.